If you’ve ever seen a wire spool, you know that it has two round ends (like a regular thread spool). I just unscrewed the round ends from the middle and viola- two super cool table tops! These things get thrown out after they are used, so if you see one empty at a construction site, just ask if you can have it! It might save them having to hoist this heavy thing into a dumpster! This is so cool! Perfect for a patio–you can stick an umbrella in the middle. I love it! Would love to find these spools. Oh wow, I love how they turned out! So cool! My dad worked for Western Electric and we used to have these spools as a picnic table when we were kids. Never thought about taking them apart. Love these. They are great! 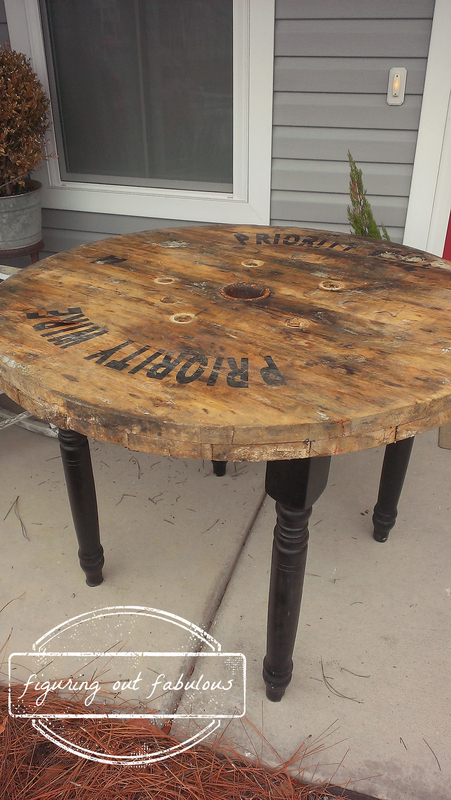 What a fabulous patio table – would love one of these! I’m giggling picturing you rolling that down the street LOL – could just hear my husband if I asked him to do that with me !!! this is amazing! visiting via MMS and hope you’ll visit me back: http://hellolovelystudio.com. 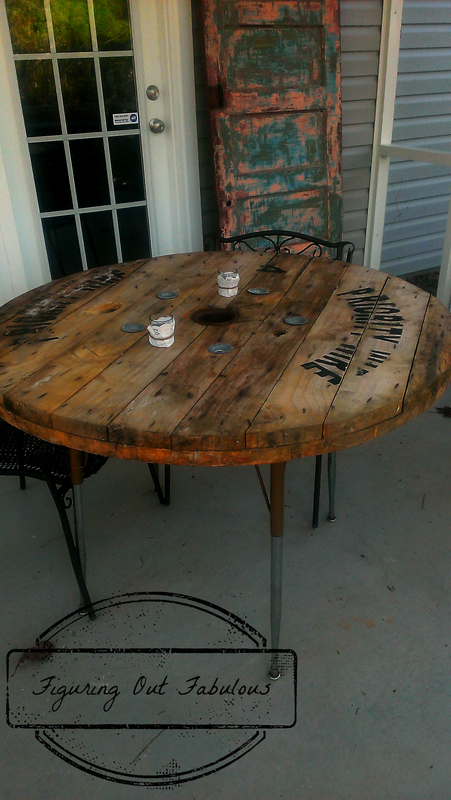 Making one to use as a kitchen dinning table. Thanks, lovely!